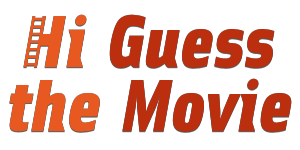 Hi Guess The Movie Answers is a fan-driven community, devoted to movies and this fun app. Information for this game and its developers will be made available, as they happen. If you are a fan of this game and want to discuss different levels with your peers, visit our Facebook page and join the discussion. Our Twitter feed is designated for breaking news and updated videos, as they are created. Hi Guess The Movie Answers | Hi Guess The Movies Cheats This site is not endorsed by or affiliated with CamMax.